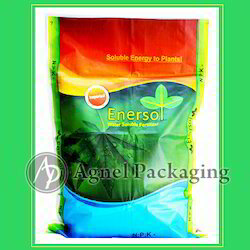 We provide Fertilizer Packaging Bags with gussets as they are very useful while stacking in super markets or warehouses and they also occupy less space while transportation, these bags are offered with two types of printing, one is normal gusset printing and another is center gusset printing. We also offer Low GSM Fabric Bags, Organic andMicronutrient Fertilizers Bags. Looking for Fertilizer Bags ?